Our Company’s Name is Enlisted in the Midst of Eminent Stock Aluminum Extrusion Traders in India. the Aluminium Used in the Manufacturing Process is of High Quality. 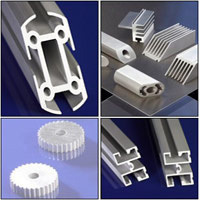 the Aluminium Extrusions Made Out of Them are Highly Durable as Well as Resistant to the Most Odd Conditions. 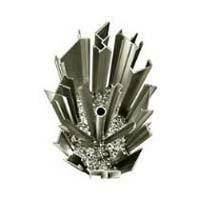 We Come Across Varied Needs of Customers and to Facilitate Them We Manufacture the Custom Aluminium Extrusions as per the Specifications Given By the Customers. the Customers Place Repeated Orders that Talk About Our Dependability as Well as the Quality of the Aluminium Extrusions. the Consignment is Delivered On Timely Basis and the Cost of the Aluminium Extrusions is Quite Reasonable. © Copyright 2009 - 2010. Bothra Metals & Alloys Pvt. Ltd.